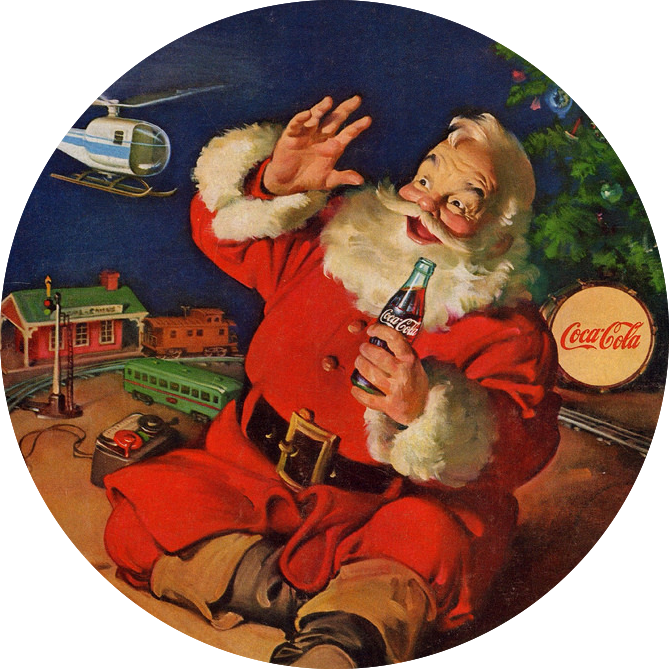 Ever since artist Haddon Sundblom created the (now legendary) Father Christmas ads for Coca Cola during the early twentieth century, Christmas has been recognised as a huge commercial opportunity within the retail world and beyond. Fast-forward almost a century and Christmas has become a time of year that's noisier than ever - and not just around the dinner table following a few too many sherries. With retail giants spending an increasing amount of money on powerful TV adverts and impressive billboards, how can smaller brands cut through the competition and make their mark? For this blog post, we've looked at four ways retailers - big and small - can join up the different channels at their disposal to target customers in a personalised, relevant way this Christmas. But there will always be a portion of your subscriber base that stubbornly refuses to open your carefully-crafted Christmas emails, and misses out on your key holiday promotional messages as a result. Luckily, if that subscriber is on social media, you can target them in other ways. Retargeting non-openers in their social feeds using custom audiences can be a great way of ensuring your subscribers don’t miss key seasonal messages. In this instance, your list could be made up of those who haven’t opened your emails, or have opened your emails but not clicked through. Top tip: Your Christmas campaign will look different on social media than email; for example, on Facebook ads tend to be presented with minimum copy and plenty of images. Furthermore, if a contact opened your email but didn’t click through, it could be that they weren’t interest in the products on offer, so try promoting something new. On top of retargeting specific contacts in your database, custom audiences can also be used to find similar people who haven’t discovered your brand yet. As the name suggests, lookalike audiences work by taking a list of contacts, uploading it to a social network and targeting users of that social network who share similar traits to the original list. Providing you have a single customer view, your lookalike audience lists can be based on a whole host of different customer interactions , such as website visits or social page likes, however in this instance let’s look at how they can be created via email interaction history. Using your email data - both from last Christmas and recent interactions - create a list of customers that are highly engaged with your emails. Next step, push that segment to the social channels of your choice - whether that’s Facebook power editor or audience manager in a Twitter Ads account - and wait for lookalike audiences to be found. You can then target this audience with Christmas ads specifically designed to introduce them to your brand and Christmas promotions. Direct mail can be a great way of cutting through the Christmas noise, as contacts in your database with overflowing inboxes may respond far better to this sort of tangible marketing. For brands that lack the budget to target their entire database with Christmassy collateral, targeting only those who haven’t responded to your email or social media retargeting with good old fashioned direct mail can be a good option. Sending previous Christmas shoppers who haven’t purchased since last year a gift guide. According to a recent article from Marketing Week, Cath Kidston is one brand that kicks off its Christmas campaign with a piece of direct mail towards the end of September, followed by a gift guide in the post towards the end of October. As mentioned in the point above, if a customer or subscriber doesn’t seem to respond to one marketing channel, try targeting them in a different way. That is the beauty of cross-channel, after-all. As pointed out in our Hacking the Holidays guide, if you’re a high-end retailer with a small number of ‘elite’ customers, consider having a customer service representative from your brand contact those people personally with gift ideas based on their visiting and transactional history. The same rule can be applied for retargeting customers who keeping visiting your site, but won’t seem to actually make a purchase - especially if they are VIPs that have made plenty of purchases in the past. If this sounds unscalable to you due to the size of your brand, consider creating a triggered email and social campaign targeting, say, previous customers who have visited your site more than three times in the festive season but haven’t made a purchase, perhaps with a ‘got any questions?’ customer service angle, with product recommendations and some kind of incentive to turn their browsing into buying. Things have changed since Haddon's Coca-Cola ads during the 1930s. Christmas campaigns are no longer a one-way process, with marketers creating material for the general public to consume in the same way. Today, as a result of data and technology, ecommerce marketers are expected to have a rapport with each of their customers in a way that suits them. Again, this all comes down to having a single customer view. By having all of your data on each customer in one place, you can ensure your Christmas campaigns are delivered across the right channels at the right time, reaching their full potential before the festive season ends and a new year begins.